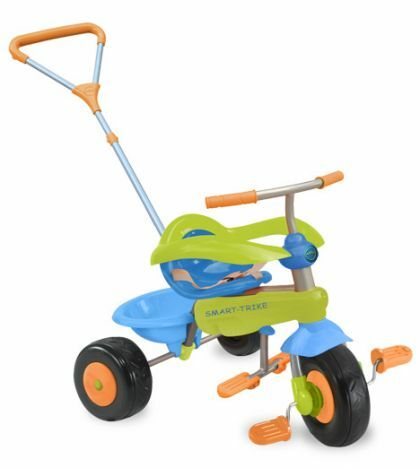 Smart Trike Cookie 3 in 1 starts out as a paretn controlled tricycle, your child can rest their feet on the foot rest while holding onto the handles as you steer using the parent control handle. 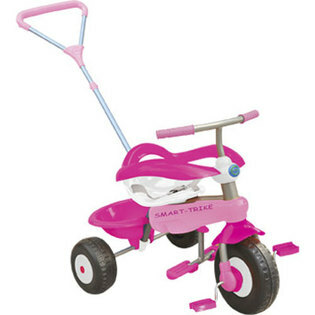 Smart Trike Cookie 3 in 1 can then change as your child gets older and is able to pedal and steer on their own. The parent control steering handle is detachable so it then comes off allowing your child to ride on their own.